First Bible Baptist Church believes that God's word provides the only solid foundation on which to build your life. That is why we make no apology for teaching and preaching the Bible. Our heart-felt prayer is for you to know Christ as your personal Savior and be involved in a church home that cares for you, and in which you can grow to be more like Christ and serve Him faithfully. The families here have discovered the joy of being part of a friendly Bible-believing church that works hard to meet the needs of every age group. We believe God has a purpose for every individual and we extend an invitation for you to come and be a part of First Bible Baptist Church! P.S. For anyone who needs a ride to church, adult or child, we have a BUS MINISTRY, and would be happy to pick you up for services! 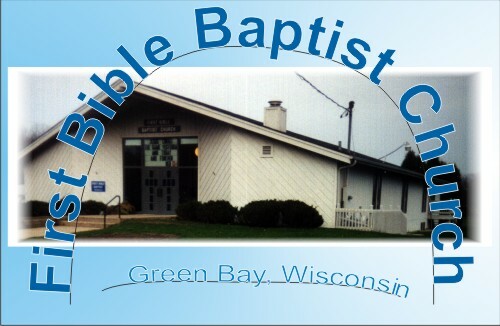 First Bible Baptist Church is a Baptist church by conviction and principle, not by affiliation. This means that we believe the basic Bible teachings for which Baptists have historically stood. As Baptists, we believe the following: the Bible is our sole authority for all matters of faith and practice. Home | About | Ministries | Contact | Copyright © 2010 First Bible Baptist Church. All Rights Reserved.